While I generally focus on Catalan wines as I find them to be quite dynamic these days, I also try to review other regions of Spain and thus we arrive at Remelluri from Rioja. This probably seems a bit humorous to anyone outside of Spain because to most, “Rioja” and “Tempranillo” are probably the two most commonly known aspects about wine for the country and it’s thought that is what you’d be drinking daily. Naturally, there is a great deal more than that and honestly, I find the Grenache coming out of Rioja to be much more interesting than the Tempranillo. This is of course a big issue for me with Tempranillo. It ages well and makes a fine wine, but what the hell is Tempranillo? Defining it is really just defining a style and if you say that it has cherry and plums note that doesn’t say much as most red wines have these notes. Hell, that can describe cold climate Pinot Noir. If you say it has leather and cigar, again, not much said and that really just comes back to the secondary notes as to how the wine is made. It’s for this that grapes such as Grenache and even Graciano are much more interesting in Rioja. This particular bottle however is well-made and I can’t complain that a 2008 Reserva costs 19€. That’s of course three years aging, of which at least one year is in oak which is the only one of the classification terms that matches with the rest of Spain–all the others have more time in the oak for Rioja. 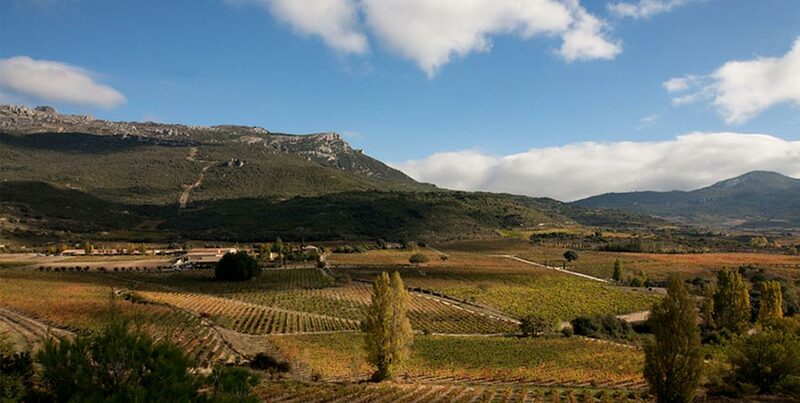 The wine is sourced from neighboring plots in Rioja Alavesa and Rioja Alta which in theory the former brings a hit of structure and the later fruit. I would agree with this as it holds both components but this is probably indicative of this specific region. Does it hold the tell-tale coconut aspect of aging in American barrels? Not much and would seem to me that while their website doesn’t state it, they use a good dose of French barrels which is the more modern trend for the region and this works. Would I recommend this bottle? Sure, it’s a good representation of very correct Rioja style that, while at first is tight and uninteresting, opens wonderfully over an hour and holds a great deal of depth which I posit comes from the other grapes in the blend and not the Tempranillo which is just there to provide a stage to the winemaking and the other, more interesting grapes. Ruby brown in color with aromas of red fruits, mature cherries, cedar, smallest touch of coconut, and alcohol at med plus. In the mouth, the red cherry, cedar, and barrel notes more prevalent. Initially a bit unbalanced and alcohol is still quite prevalent at this point as well as the oak but it evens out with generous decanting. Give it another 3-5 years of aging.